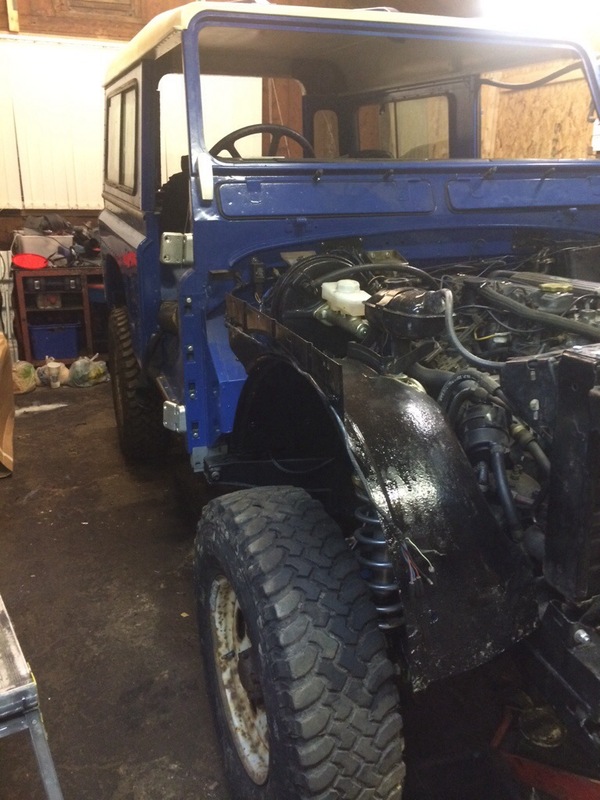 I bought all the parts to completely overhaul both of my axles… new oil seals, gaskets, bushes and brake components etc. 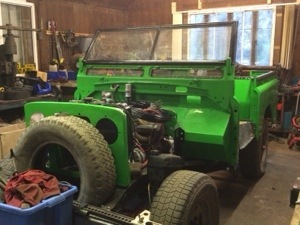 First stage was to strip the axle down to bare casing as I wanted to rub it down and paint it. 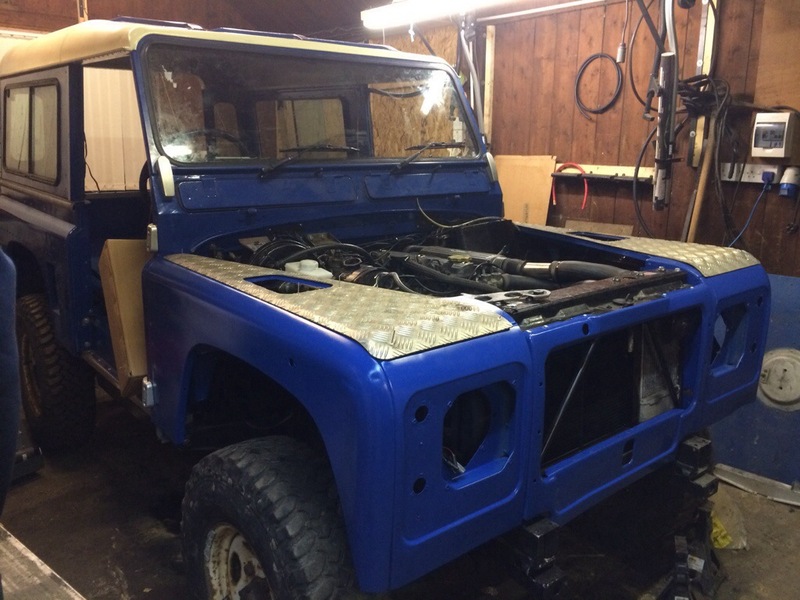 This entry was posted in Axles, Painting, Strip Down and tagged 1977 Series 2, bearing, brakes, hubs, Land Rover, painting, Parts, Progress, rebuild, Series 3, Start, Strip Down on May 12, 2014 by landyrebuilds. 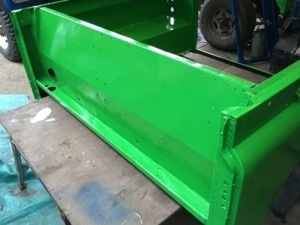 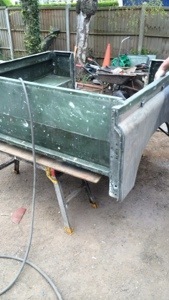 We painted all the tub cappings, put them back on the tub and riveted them in with nearly 180 rivets. 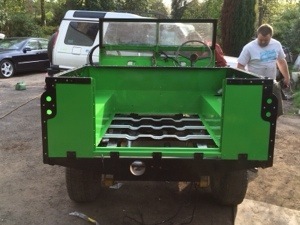 We then fitted the tub to the chassis and bolted into place. 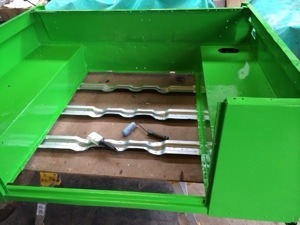 Before this, we fed the new wiring loom through the chassis, once the tub was fitted we then fed the loom into the tub. 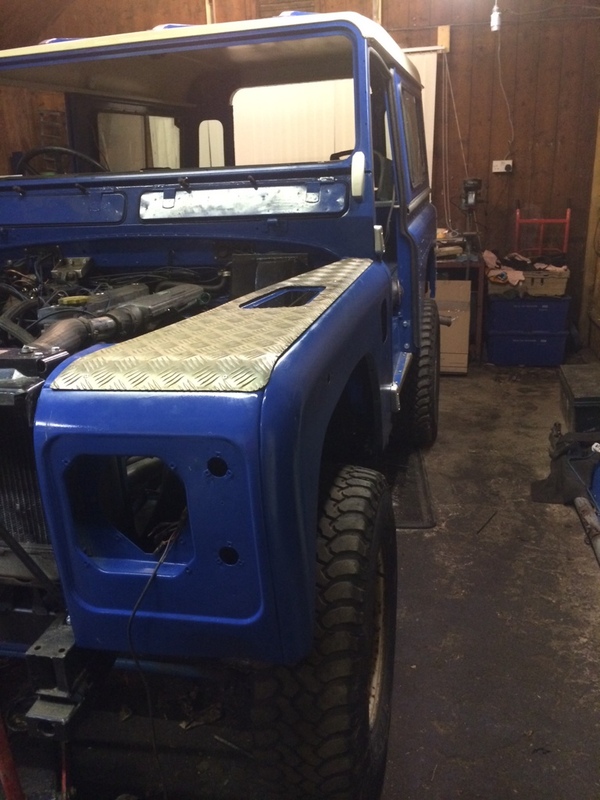 All the brake lines are fitted apart from the master cylinder and the splitter. 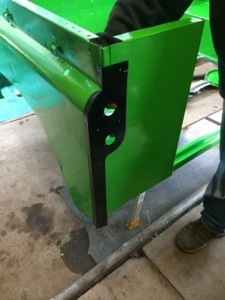 Next on the agenda is to sort out the seat box and front flooring and get that fitted into place. 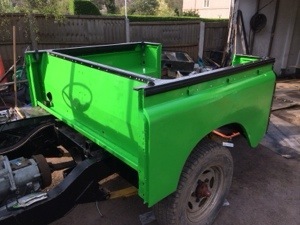 This entry was posted in Bodywork, Electrical and tagged 1966 Series 2, bodywork, Land Rover, painting, Parts, Progress, rebuild, Wirral on April 21, 2014 by landyrebuilds. 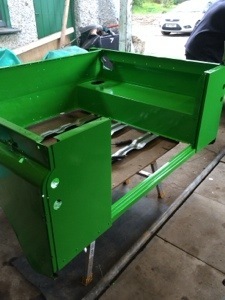 Well its been a few weeks since the last updates on the blog and boy have things moved on recently! 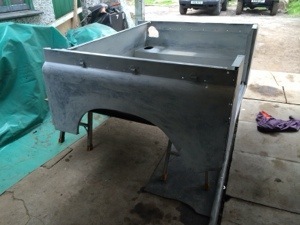 With the long bank holiday weekend ahead progress started on Thursday evening, the removal of the tub rear cross member, this has been replaced with a stainless steel and riveted in place. 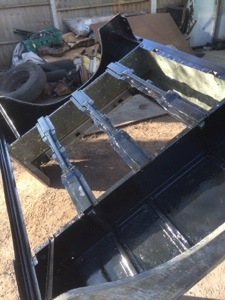 Also fitted are 3 x britpart tub floor supports and new rear quater pannels from the same material as the tub for car 2. 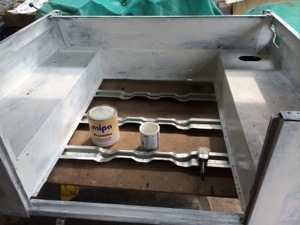 Then it was time for primer and top coat, as bright as the bulkhead looked the tub shows it off even more but it still looks good. 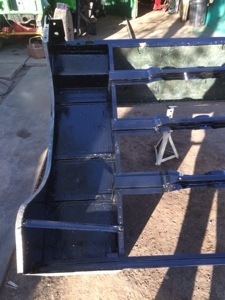 A second coat will be added then black cappings rivetted back on. 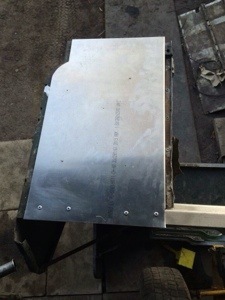 Also the repair for the battery box has been put back in to the seat box. 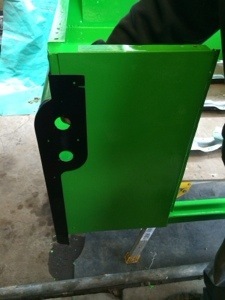 this will be bolted on to the tub soon. 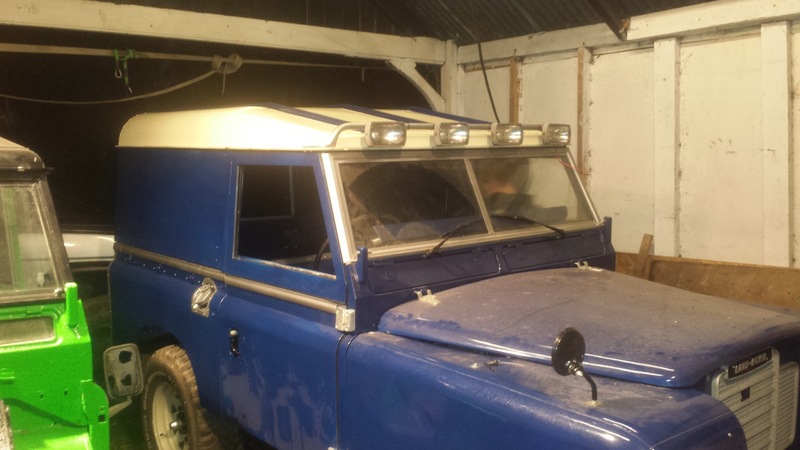 This entry was posted in Bodywork and tagged 1966 Series 2, bodywork, cappings, home made, Land Rover, painting, Progress, rebuild, tub, Wirral on April 20, 2014 by landyrebuilds. 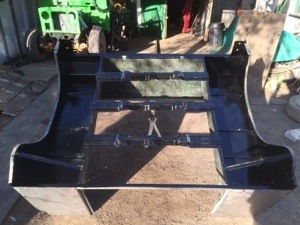 Shocks fitted, after trying to fit the shocks with the poly bushes we found them to be a very tight fit so we ended up making a tool that allowed the pin to be put in while the bush was compressed with a clamp. 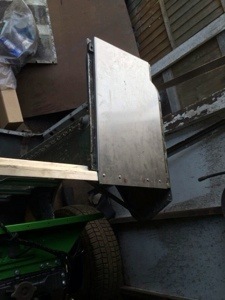 this worked a treat and in no time all 4 shocks were in place. 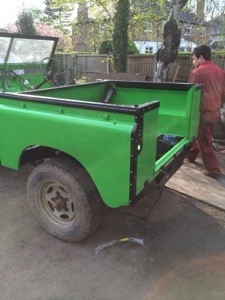 Rear Check Straps, once the shocks were in place we fitted the new straps and bolted up tightly. 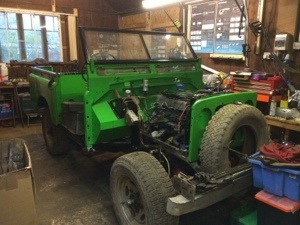 Brake Lines, we have fitted a set of standard length braided brake hoses originally planned for car 2, but they were too short. 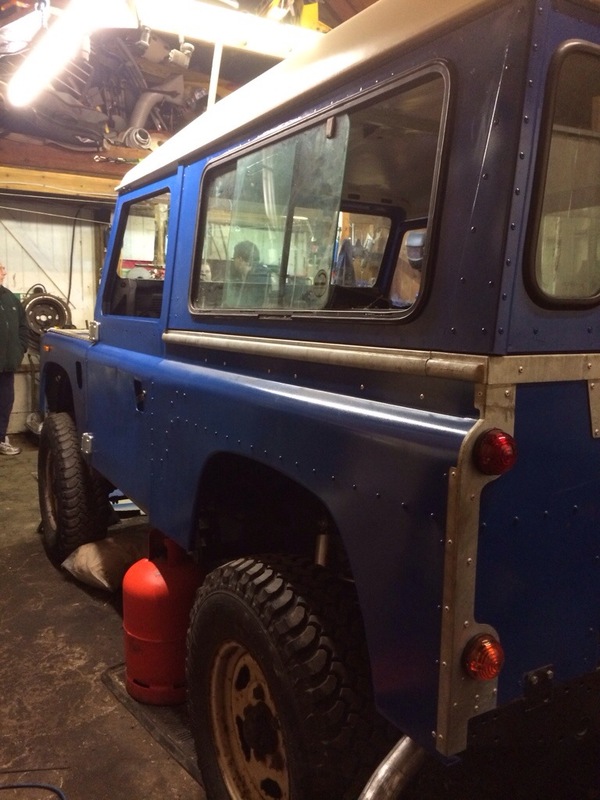 Next step for brake lines will be running the full lengths of copper pipe and completing the brake system. 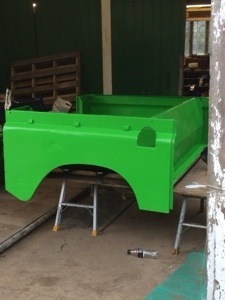 Front Grill, the front grill section has been painted green, it will have 1 more coat then can be refitted to the chassis along with a new radiator that has been purchased, the original was beyond repair. 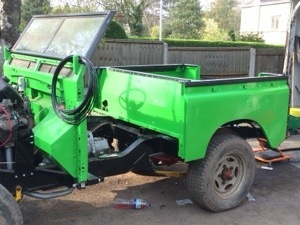 This entry was posted in Axles, Bodywork, Suspension and tagged 1966 Series 2, bodywork, brakes, Chassis, hubs, Land Rover, painting, Parts, Progress, rebuild, series 2 88, Wirral on March 10, 2014 by landyrebuilds. 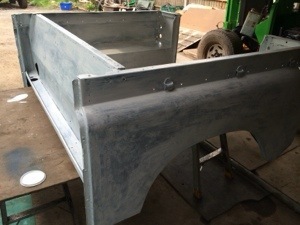 Well after a few quiet weeks busy with work and other jobs I had a week off so decided to make plenty of progress with the car. 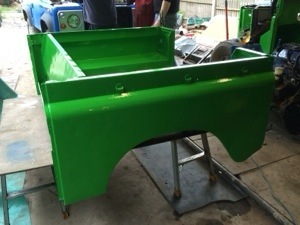 This week we have re fitted the glass in the back of the car, bolted the body work down, wings bolted in place, checker plate riveted back to the wings. 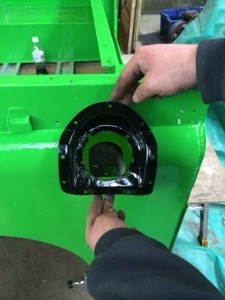 In the process of putting the off side rear wing in place we noticed a small drip of power steering fluid, so we tightened the pipe a bit more and a couple of minutes later the fluid was pouring out. 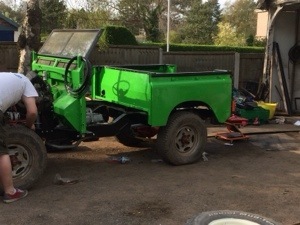 After a small amount of investigation we noticed a split in the metal hose, so a trip to the parts supplier resulted in the purchase of NTC8861 which is a hose from a 4 bolt power steering box instead of the 3 i have fitted. 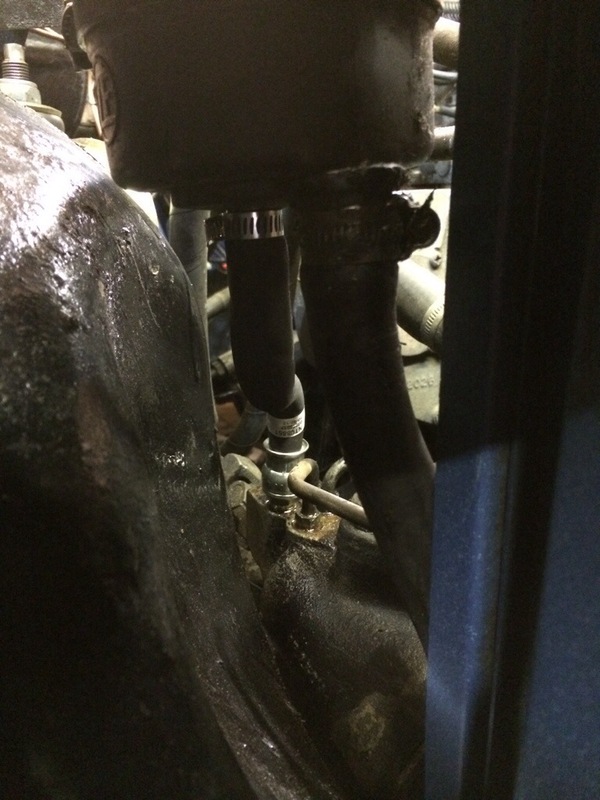 Initially the new hose wouldn’t fit but after a small adaptation with a grinder the pipe fitted and refilled with no issues. 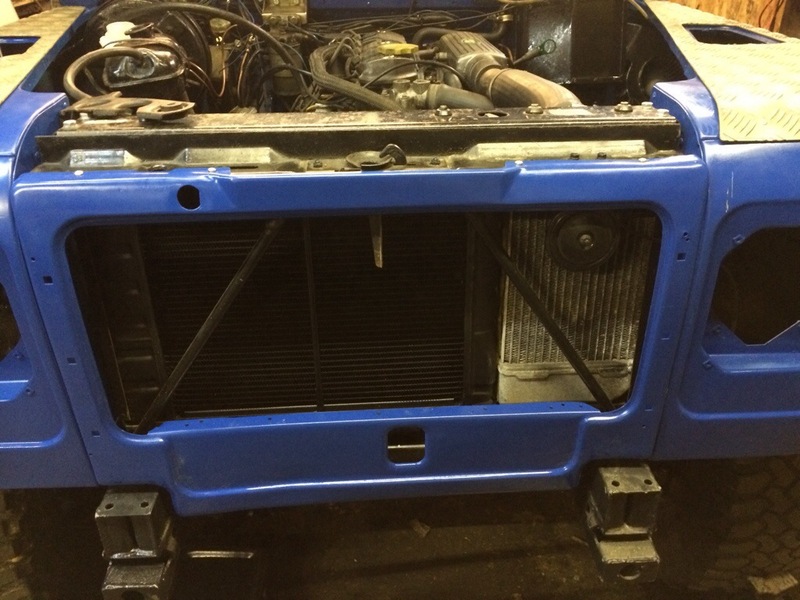 The photo below shows the new pipe fitted. 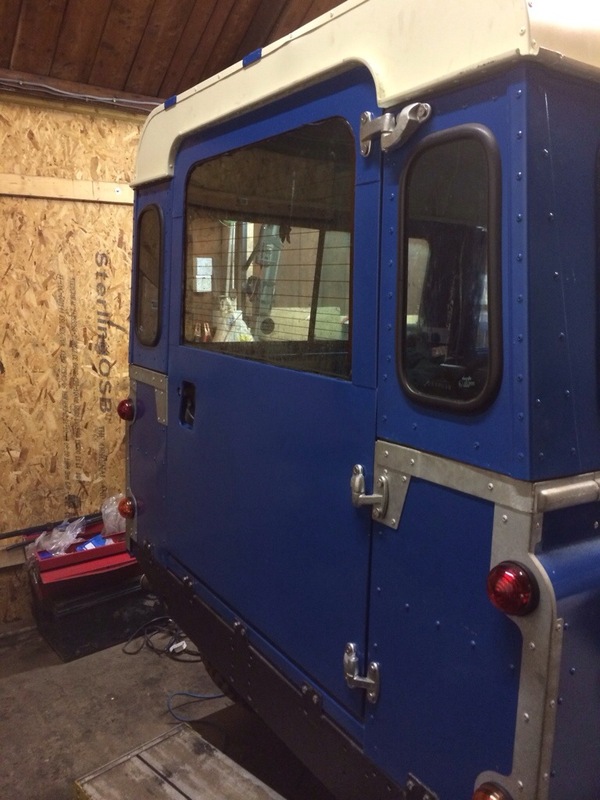 After putting time in over the week we feel we have made some big progress and hopefully carry on with the refitting of the doors and bonnet so will look even better then. 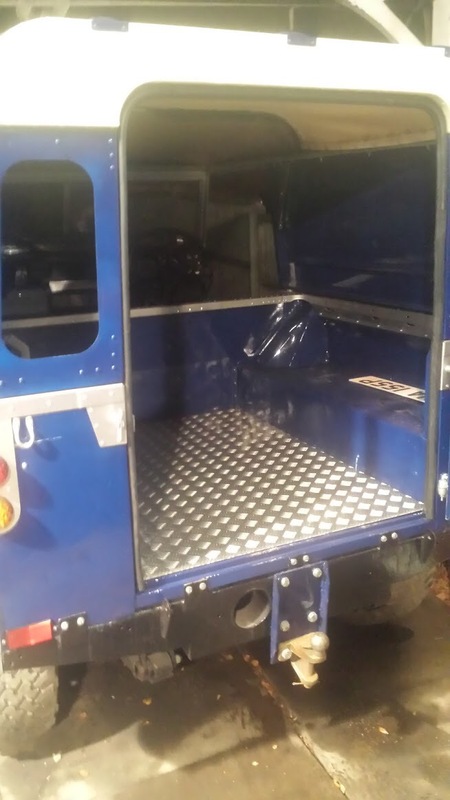 Well we rebuilt and returned the doors to the car today and it really looks like its getting there. 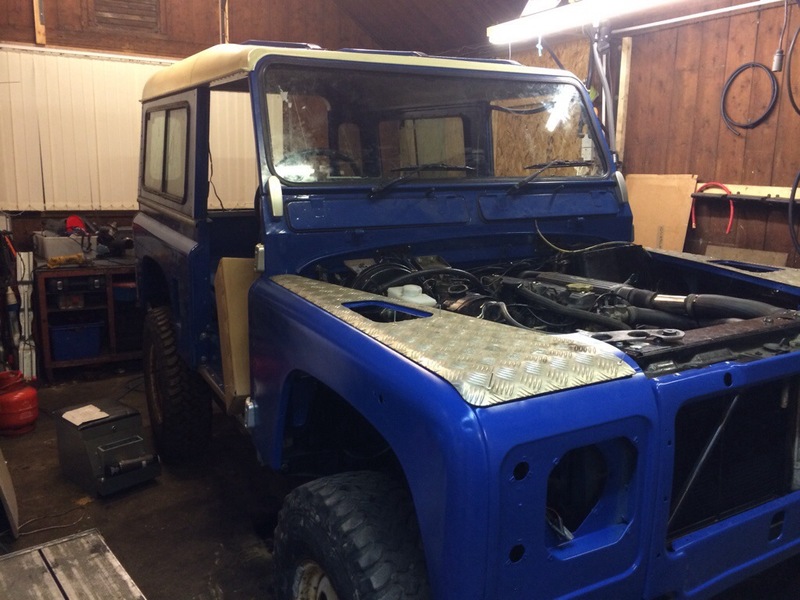 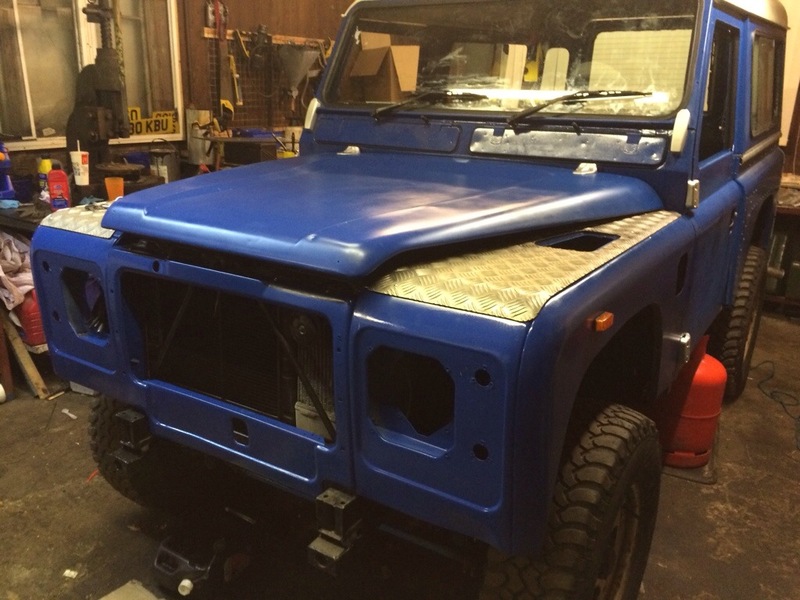 This entry was posted in Bodywork and tagged 1983 Ninety, Land Rover, painting, Parts, Progress, rebuild, Wirral on February 22, 2014 by landyrebuilds.